Lady Ashcombe at a charity event (Dorking Museum). There is another picture of her with her staff on the Denbies Estate page – for someone in her position, it is surprising that there seem to be no studio portraits. Maud Mariamne Calvert, born at Charlton, South-east London on 5th August 1865. was baptised at St Mary Magdalene Woolwich. She was the daughter of Archibald Motteux Calvert, born Twickenham, Middlesex, and Constance Maria Georgiana Calvert nee Peters, born Beckenham, Kent. The Calverts had three other children: Maud’s older sister Ada and her younger brothers William Archibald and Archibald junior. At the time of Maud’s baptism, her father was a Captain in the Royal Horse Artillery at Woolwich, eventually becoming Lieutenant Colonel. In the 1871 census the Calverts were at Ockley Court in Surrey where the family had lived since the house was built in the late 1700s. The village of Ockley lies between Dorking and Horsham. Colonel Archibald Calvert was described as landowner In the census. He is probably the “Colonel A M Calvert” who helped rescue the nearby Crawley and Horsham Foxhounds at a critical juncture and set up the kennels at West Grinstead. The Hunt history states that “…. his only defect as a Master was that he was unable always to realise that some people were not quite such good sportsmen as he was himself.” (If this is the same man, his grandson Charles Guy Cubitt (see below) became Master in 1928.) 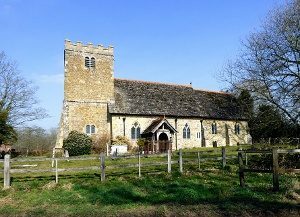 In 1891 Colonel Archibald’s son William Archibald married Beatrice Hayward Cubitt (George Cubitt’s youngest daughter) at St Barnabas Church, Ranmore Common. 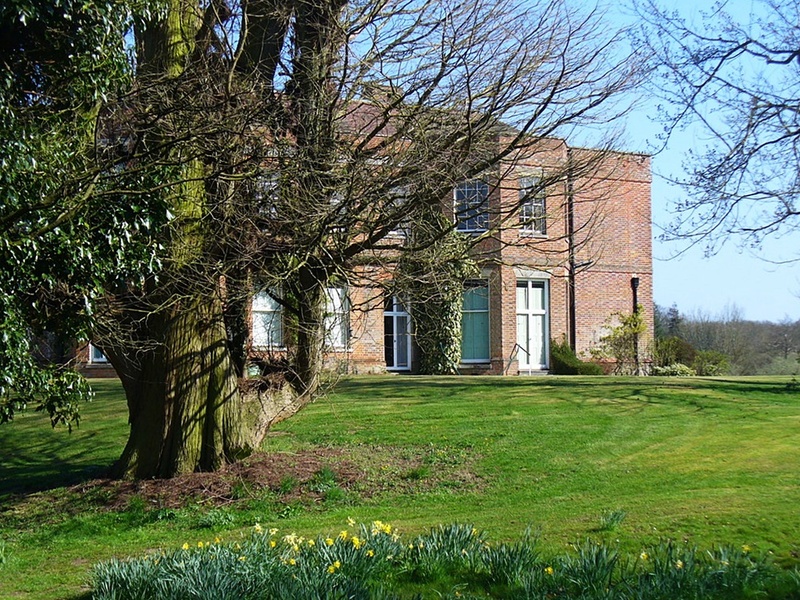 By 1911 William and Beatrice and two of their five children are living at Old House, Shipley, near Horsham. 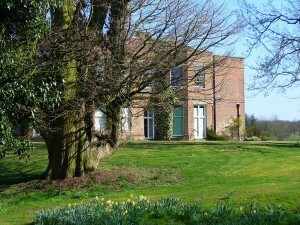 William eventually succeeded his father at Ockley Court. On 21st August 1890 Beatrice’s brother Henry Cubitt had married William Archibald Calvert’s sister Maud Mariamne at St Margaret’s Ockley. Henry and Maud had six sons, but to her disappointment no daughters. 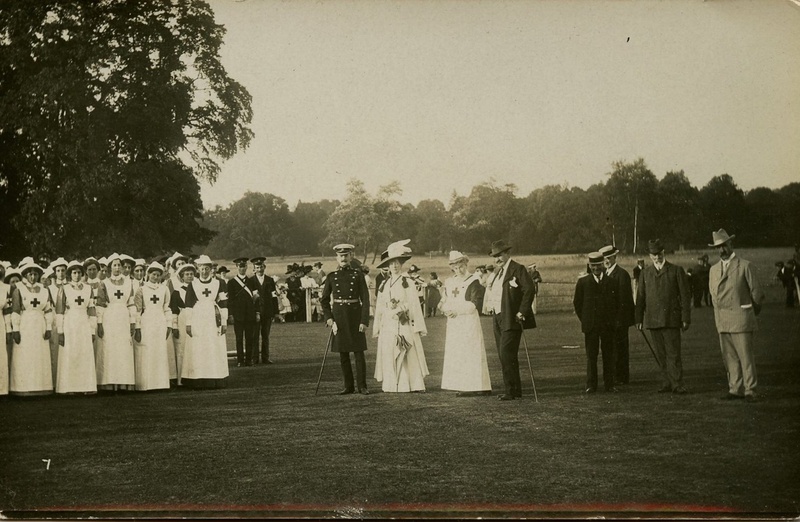 Maud Cubitt (later 2nd Lady Ashcombe) took great interest in country and local matters and in maintaining the traditions of a great country house estate. During the cricket matches between the house and the local villagers, she kept the score from her own private tent by the cricket ground. 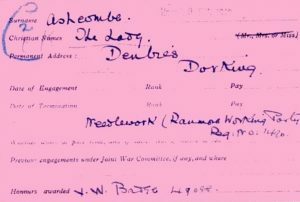 Maud was President of the Dorking Benefit Nursing Association, a nationwide organisation to provide nursing care at home to poor people and their families. In successive years (1912, 1913 and 1914) she wrote to the “Dorking and Leatherhead Advertiser” appealing for support for the DBNA’s house-to-house collection for the “the alleviation of sickness and suffering among all creeds of deserving [sic!] poor in Dorking.” Written in October/November, the letters perhaps were a pre-Christmas appeal or just because winter was coming on. As the Hon. Mrs Cubitt and later as Lady Ashcombe, Maud Mariamne was President of the Surrey branch of the Red Cross from its inception in 1909 until she retired from the position in 1939. Lady Ashcombe obviously also involved the pupils at St Barnabas School in the war effort: in November 1915 the logbook records that 18 garments were sent to Mrs Cubitt and “the children are busy knitting mittens and socks for the soldiers”. Maud retired from the Red Cross in 1939, so was not notably involved in the war effort for World War 2, and she died just before the end of the war, on 7th March 1945, aged 79. She was buried in St Barnabas Churchyard, to be joined two years later by her husband. Six sons were born to Henry and Maud Cubitt: Henry Archibald (1892), Alick George (1894), William Hugh (1896), Roland Calvert (1899), Archibald Edward (1901) and Charles Guy (1903). Each of the three elder boys was deputed to look after one of the three younger ones, and it is telling that each of the three younger brothers named his first son after an older brother. 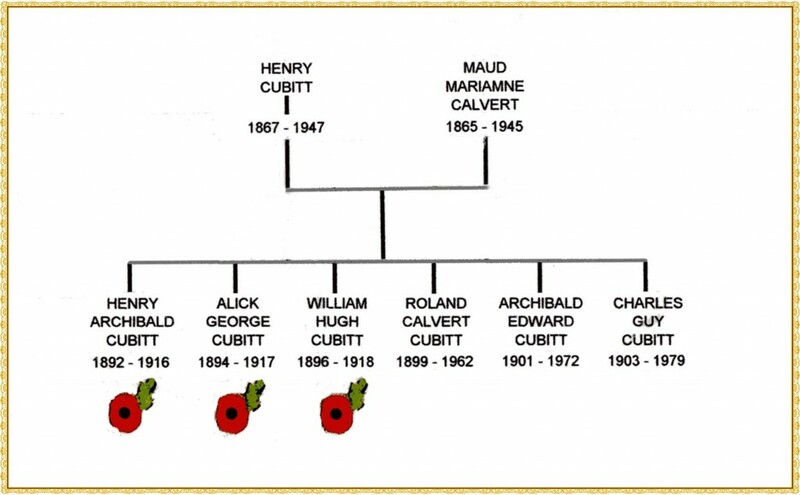 The eldest three sons were killed in order of age in World War 1, so Roland Calvert Cubitt, the fourth son, succeeded to the Estate and title. 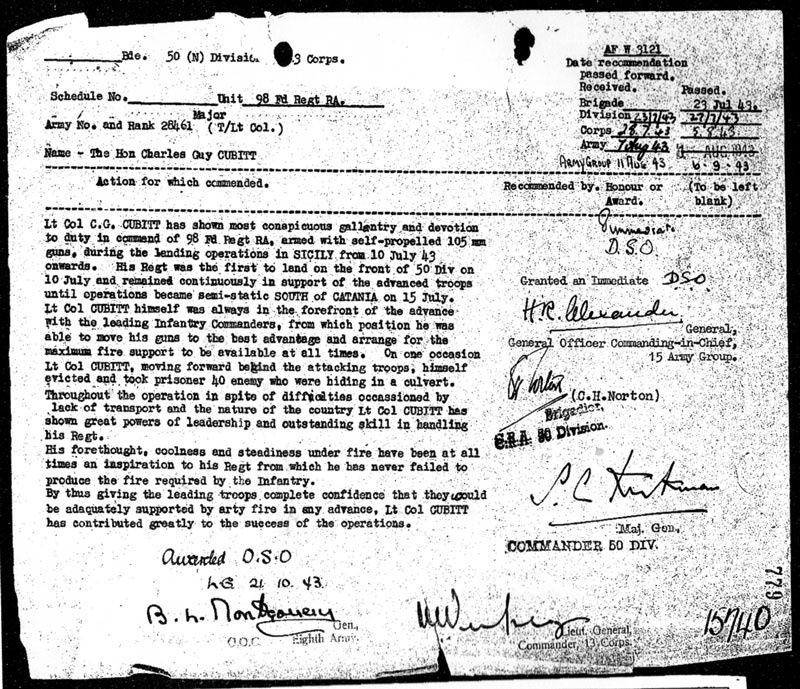 Born 3rd January 1892, Capt. Henry Archibald, 3rd Battalion Coldstream Guards, Chevalier of the Legion d’Honneur, was killed on the Somme on 15th September 1916. For more information, see his page. 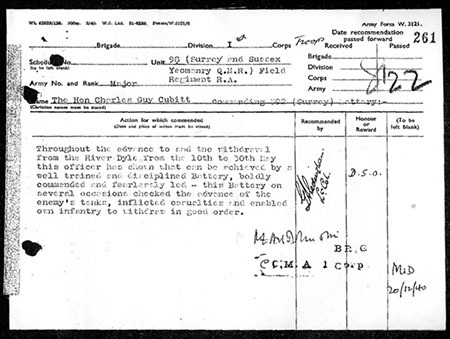 Born 16th January 1894, Lieut. Alick George Cubitt of 15th (King’s) Hussars was killed in France on 24th November, 1917. For more information, see his page. 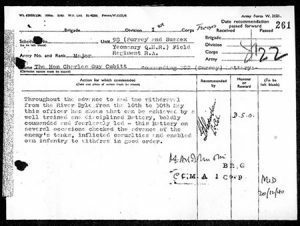 Born 30th May 1896, Lieut. William Hugh Cubitt, 1st (Royal) Dragoons, died of wounds inflicted near the Somme on 24th March 1918. For more information, see his page. The fourth Cubitt son, Roland was born in London on 26th January 1899 and, after the deaths of his three elder brothers, became the 3rd Baron Ashcombe on the death of his father Henry in 1947. Roland was baptised at All Saints Ennismore Gardens, Knightsbridge on 6th March 1899, the family address being 20 Princes Gate. The baptism was conducted by the infant’s uncle-by-marriage Canon Edward Chichester, Vicar of St Martin’s Dorking. Rolie was educated at Eton and Sandhurst. He was in uniform for the 1917 memorial service to his brother Alick, and his draft to France as a Lieutenant in the Coldstream Guards was imminent when the Armistice was signed in 1918. He wished to stay in the regiment, but the deaths of his older brothers forced him to assume responsibities of an eldest son for which he had not been prepared. Rolie loved horses and fox-hunting. After succeeding to the baronry, he became Deputy Lord Lieutenant and later Vice-Lord Lieutenant of Surrey. He was Chairman of the building company of Holland Hannen and Cubitt (an amalgamation including the firm of his famous grandfather Thomas Cubitt). Under his stewardship the company played a major role in construction at home, and abroad in far-flung places such as New Zealand and Kuwait. Rolie and Sonia had three children : Rosalind (1921), Henry, usually known as “Harry” (1924) and Jeremy (1927) (see below). The couple divorced in 1947 just before Rolie succeeded his father as the 3rd Lord Ashcombe. In 1948 Roland married Idina Joan Mills nee Myddleton. She had worked indefatigably during WW2 as head of the Channel Islands Section of British Red Cross Foreign Relations department (the only means of communication between the interned islanders and the outside world). Lady Ashcombe died in 1954, and in 1959 Rolie married Jean Baylis nee Garland : he was her fourth husband. She was killed in a plane crash in 1973. After Henry Cubitt’s death in 1947, Denbies was again assaulted by death duties as well as the expense of maintaining such a vast house. Rolie decided to convert the laundry, stables and gardeners’ bothy into what appears to be an early 19th century house, using much of the flooring and doors of the Mansion. He vainly explored ways of keeping the older house: even the local town planners did not cooperate and refused a change to business use by the Distillers Company. Roland’s grave in St Barnabas Churchyard (ref F3).. Reluctantly, Rolie decided to demolish the house built by his great-grandfather after only a hundred years of existence. To meet death duties, 1500 acres, including Denbies Hillside, went to the Treasury and thence to the National Trust. More cottages were sold over time, including the Post Office in 1970 and Dairy Cottages in 1972. 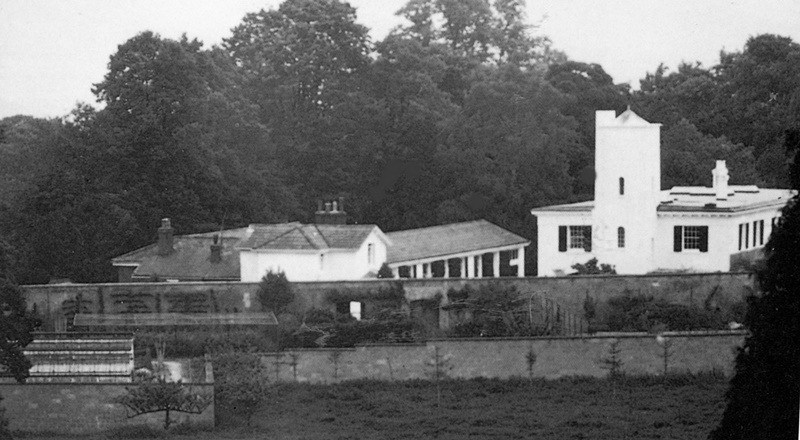 Rolie farmed the remainder of the Estate and lived in the smaller Denbies House until he died on 28th October 1962. His ashes were interred in St Barnabas churchyard on 1st November. 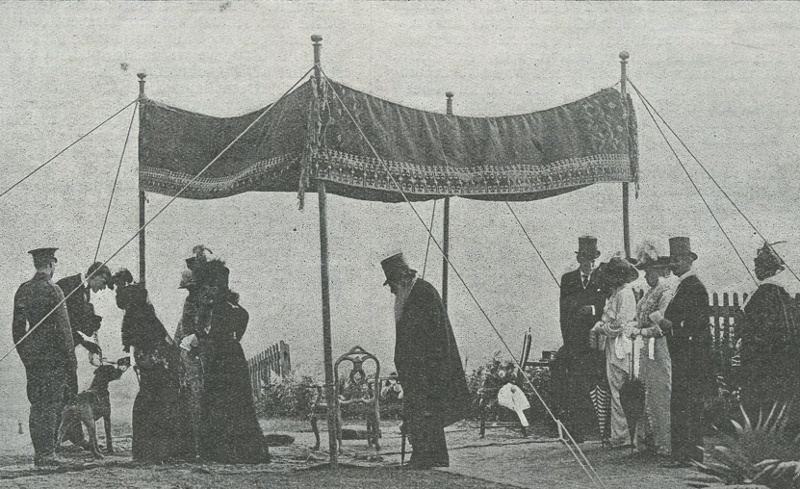 The wedding of Rosalind Cubitt and Bruce Shand. 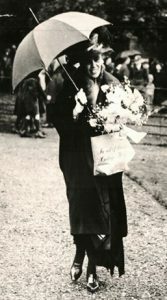 Rolie’s daughter Rosalind Maud Cubitt, born 1921, had a notable coming-out ball in 1939 at Holland House in Kensington, attended by more than a thousand guests, including the King and Queen. 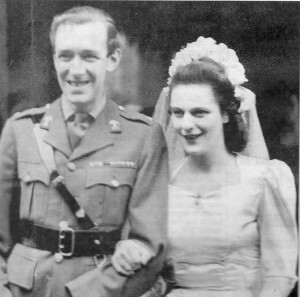 In 1946 she married the war hero Major Bruce Shand and the couple had three children. Her daughter Camilla (Parker-Bowles) became HRH The Duchess of Cornwall on her marriage in 2005 to Charles, Prince of Wales. Rolie and Sonia’s younger son Jeremy John Cubitt (born 1927) married Diana Edith Du Cane and they had a daughter. 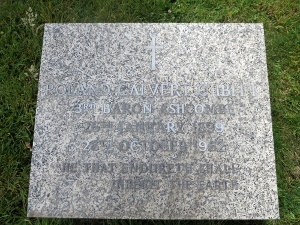 He died aged 30 after an accident in 1958, and his ashes were interred at St Barnabas. Henry Edward (“Harry”) Cubitt , Rolie’s elder son born 1924. served in the RAF as Sergeant Pilot during the World War 2, until forced to retire after a flying accident (see They Also Served WW2). He then became chairman of the family construction business, as well as serving on the boards of various other companies. He was Consul-General in London from 1961-8 for the Principality of Monaco, and became the fourth Lord Ashcombe in 1962 after his father’s death. Harry married three times: first, in 1955, the American-born television panellist Guislaine Alexander nee Dresselhuys; then, in 1968, Virginia Carington, daughter of Lord Carrington; third, in 1979, Elizabeth Dent-Brocklehurst, born in Kentucky, widow of his friend Mark, and thus chatelaine of Sudeley Castle. 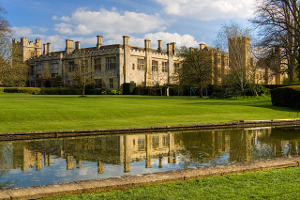 In 1985 Harry sold Denbies in order to move permanently to Sudeley, where he helped to restore the castle and grounds and did much charitable work. He died aged 89 in 2013. 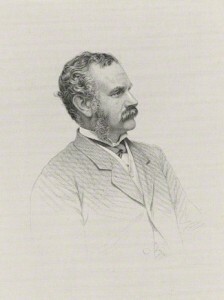 Having no children, he was succeeded by a cousin Mark Edward Cubitt (grandson of Archibald Cubitt, below) as the 5th Lord Ashcombe. 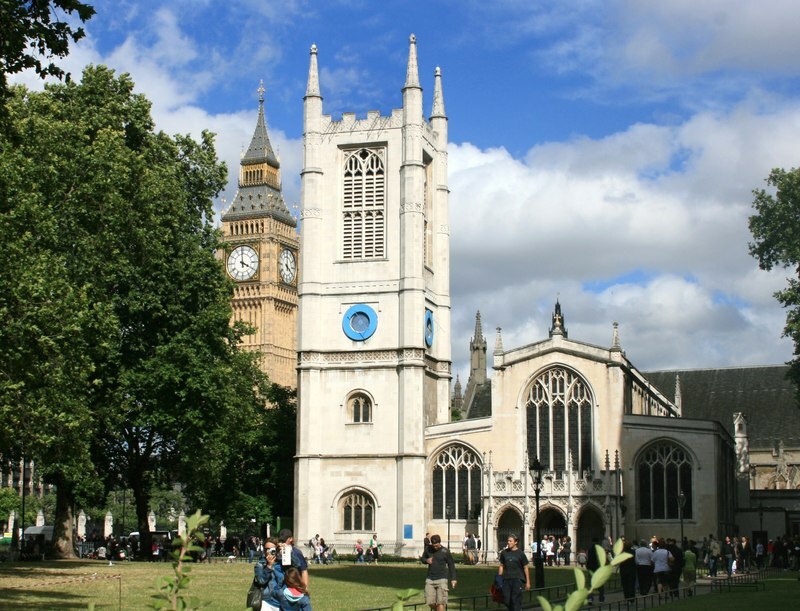 On 9 November 1926, Archie Cubitt married Lady Irene Helen Pratt (daughter of the Marquess of Camden) at St Margaret’s Westminster, in the presence of Princess Helena Victoria (a granddaughter of Queen Victoria). The couple had one son Alick John Archibald. Archie and Lady Irene were divorced in 1933. He remarried at St Barnabas Ranmore Common on 25th September 1934. His bride was Sibell Margaret Norman (1908-2010). The couple had one son and two daughters. They were divorced in 1949. For a time Archie lived at Deddington (near Banbury) in “The Cottage” (now “Holmwood”), Chapmans Lane. From 1964 until his death on 13th February 1972 he was President of the Deddington Beeches Bowls Club. 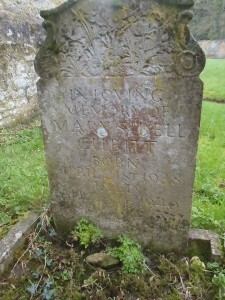 He was buried at St Mary and St Nicholas Chetwode, as previously had been his young daughter Mary Sibell, and as later was his son Mark Robin. Archie’s son by his first marriage was Alick John Archibald Cubitt, 1927-83. Alick married twice, first, in 1956, Rosemary Priscilla Gouldsmith, who died the following year; then Jennifer Faith Gott by whom he had two daughters. From his second marriage to Sibell Norman, Archibald Cubitt had a son and two daughters. The son was Mark Robin Cubitt, known as Robin (1936-1991), whose eldest son Mark Edward Cubitt (born 1964) became the 5th Lord Ashcombe on the death of the 4th Baron, his cousin, in 2013. Mark Edward and his wife Melissa nee Hay have two sons Richard and Ronald. The elder of Archie’s daughters was Mary Sibell Cubitt. She died aged just under two in 1940 and was buried at St Mary and St Nicholas, Chetwode, near Aylesbury. Archie’s younger daughter Priscilla Margaret (born 1941) married William Henry Leicester (Stanhope), 11th Earl of Harrington, and had children. Col. the Hon. Charles Guy Cubitt (“Guy”), CBE, DSO, DL, sixth and youngest of the Cubitt sons, was born at 20 Princes Gate, Knightsbridge on 13th February 1903. Like his next older brothers, Charles Guy was baptised at All Saints, Ennismore Gardens on 2nd April, the ceremony being performed by his uncle-by-marriage Canon Chichester, the Vicar of Dorking. Guy went to Eton and Sandhurst. On 13th July 1927 in London he married Rosamond Mary Edith, daughter of Sir Montague Aubrey Cholmeley, 4th Baronet, who had been killed in action in France on Christmas Eve 1914 when Rosamond was ten. Guy and Rosamond had one son and two daughters. Their home was a house called Thornden in the village of Cowfold, near Horsham, Sussex. Guy was Joint Master of the Crawley and Horsham Fox Hounds from 1928-33 and Acting Master 1933-9. 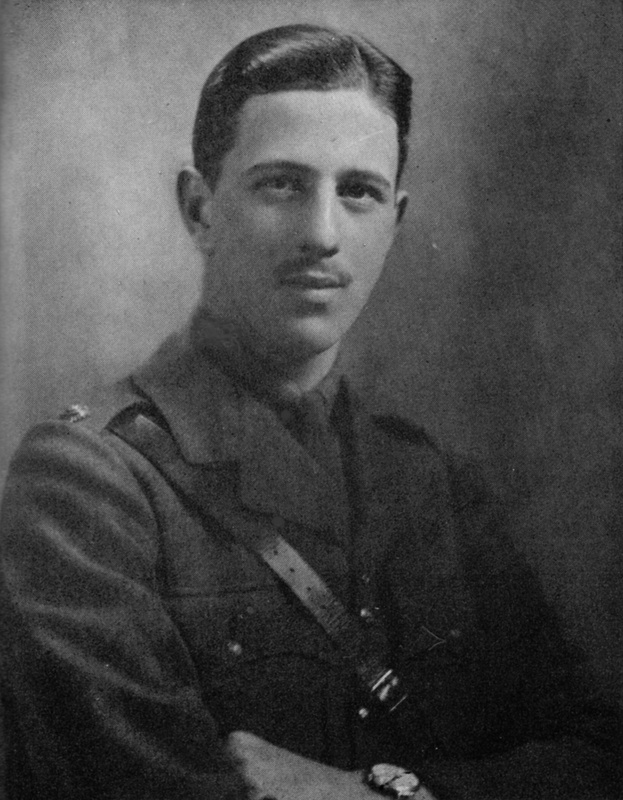 Charles Guy Cubitt was a Lieutenant in the Royal Dragoons between 1920-7 (like his older brother William Hugh), and actively associated for many years with the Surrey Yeomanry raised by his father Henry. 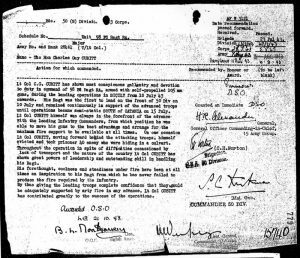 At the onset of World War 2 he was mobilised and soon promoted to the command of Surrey Battery, Unit 98 (Surrey and Sussex Yeomanry) Field Regiment, Royal Artillery. He served in France up to and including the Dunkirk evacuation, and was mentioned in despatches on 20th December 1940 for his conduct at the Battle of the River Dyle (see top right, opposite). Charles Guy Cubitt continued to command the Regiment after Dunkirk, through North Africa (including the battle of El Alamein) and the Sicily landings. As Major (T/Lt Colonel) he was awarded the DSO in recognition of his leadership and the good work of the regiment in the Sicilian campaign (see lower right, opposite). In September 1943 he was badly wounded in the left leg, arm and shoulder by an exploding landmine, and lost his left eye, the right eye badly affected. He was evacuated to a hospital in North Africa and invalided home and out of the Army, though he became Honorary Colonel of the Surrey Yeomanry in 1951 (see They Also Served WW2). In peacetime, Guy Cubitt was senior partner of Messrs Cubitt and West (estate agents), director of Cubitt Estates, Dorking Halls. 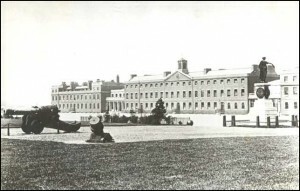 and E H Cummins and Co (Dorking builders and ironmongers), and a Trustee of Dorking Hospital. In 1955, living at High Barn, Effingham, he was appointed High Sheriff of Surrey by the Queen. 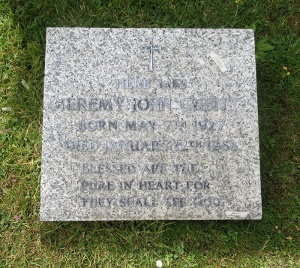 He died at Dormers, Tetbury, Gloucestershire and his ashes were interred at St Barnabas on 29th August 1979. Five years later his widow Rosamond also died in Gloucestershire and her ashes were also interred at St Barnabas. Their older daughter was Sylvia Rosemary Cubitt (born 1930) who married Major Ronald James Grant Dallas and they had one son and two daughters. The younger of Guy and Rosamond’s daughters was Celia Mary Cubitt (born 1938). She married Patrick Thomas Conolly-Carew, later 7th Baron Carew: they had one son and three daughters, and lived in Ireland. In 1958 Hugh Cubitt married Linda Ishbel Campbell, daughter of the Hon. Angus Campbell, and they have a son and two daughters. Hugh served on many notable boards and committees, including the National Westminster Bank, English Heritage and the Peabody Trust. 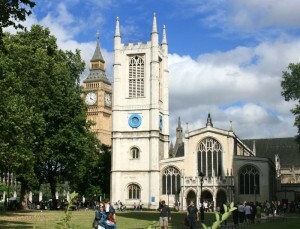 He was elected to Westminster City Council in 1963, later becoming its Leader, and was Lord Mayor of Westminster from 1977-8. In 1983 he was knighted and became High Sheriff of Surrey for that year. 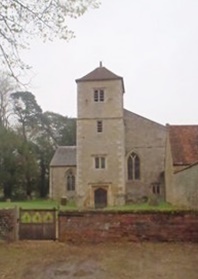 Hugh, his wife and family are the only members of the extensive Cubitt family still to live in the Denbies area and to worship at his great grandfather’s church St Barnabas Ranmore Common. There is a composite list of the sources consulted for Henry Cubitt and all members of his family on his page,, but details for the individual family members are available if required. Most of the sources mentioned can be viewed online via Ancestry, Find My Past and Free BMD.